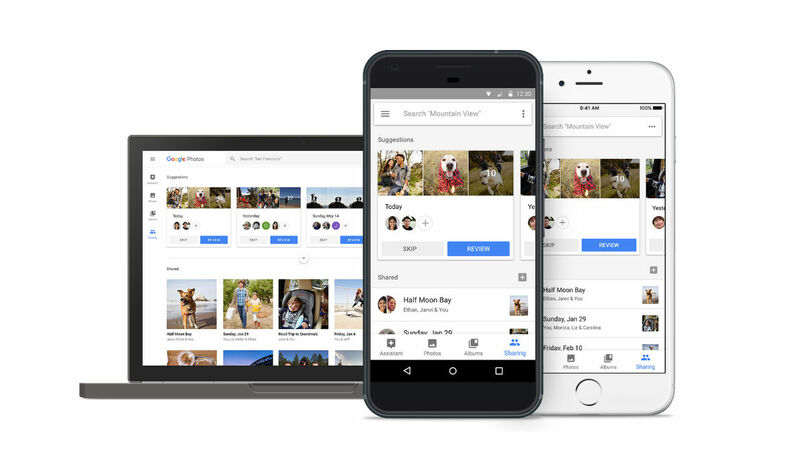 First detailed at Google I/O, new sharing features are officially rolling out to users of Google Photos in the US. The two new features are Suggested Sharing and Shared Libraries. With Suggested Sharing, Google Photos automatically goes over your library of new shots, then suggests select photos that may contain the face of a friend or colleague. The software is apparently also intelligent enough to recognize a “meaningful moment,” automatically grab the best shots, then provide suggestions on who to share it with provided there are a few faces in the shots. For example, if you had a weekend BBQ with friends and snapped some photos, Google will recognize that, choose a few of the best, then create a little package of photos and videos to be sent off to the friends who attended. The other feature, which is pretty special, is Shared Libraries. With it, let’s say you and your wife have a child. You both take pictures of the little human, but then want to make sure they all go into the same shared space on Google Photos. That’s what this feature does. Whenever you or your wife takes a shot of little human, Google recognizes little human, then places those shots in a shared folder for both accounts that is easily searchable. Users can grant access to entire libraries, select photos, and even from a select date. Once an invitation is sent and accepted, photos are placed in the shared space automatically, with the recipient receiving a notification whenever new photos arrive. This is also a great idea for grandparents who want to see countless pictures of grandkids. As we saw yesterday, a new UI for sharing began to rollout, as well as Family Group sharing. Needless to say, Google Photos is getting awesome. Google says these features Are rolling out to iOS, Android, and the web.